(i) Setup in 2010, it is a wholly owned subsidiary of TCL. Following the change in shareholding structure for the financial business, TCL transferred its lending business along with part of liabilities to TCFSL with effect from March 2012. At the end of Fiscal 2018, the Company’s has a sizeable AUM of 37,260 Cr. The Corporate Finance Division (“CFD”) offers commercial finance which offers vaNilla term loans, working capital term loans, channel finance, bill discounting, construction equipment finance, leasing solutions, lease rental discounting, promoter finance and structured products. The Consumer Finance and Advisory Business Division (“CFABD”) offers a wide range of consumer loans such as car and two-wheeler loans, commercial vehicle loans, tractor loans, business loans, loans against property, personal loans, consumer durable loans and loans against securities. (ii) They are promoted by and are a wholly owned subsidiary of TCL, which is a diversified financial services company providing services through its subsidiaries to retail, corporate and institutional clients. TCL is the financial services arm of the Tata group, which is a diversified global business group serving a wide range of customers across varied sectors such as steel, motors, power, chemicals, telecommunications, and hospitality. Issue Size: ₹ 7500 Cr. 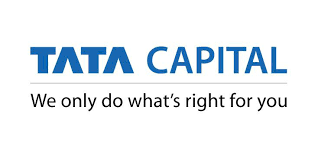 Promoters of TATA Capital Financial Services Limited NCD are: (i) Mr. Rajiv Sabharwal is a Non-Executive Director on the Board of TCFSL since April 1, 2018. Mr. Sabharwal holds a bachelor’s degree in mechanical engineering from the Indian Institute of Technology, Delhi and a post graduation diploma in management from the Indian Institute of Management, Lucknow. Mr. Sabharwal has over 26 years of experience in the banking and financial services industry. (ii) Mr. F. N. Subedar is a Non-Executive Director on the Board of TCFSL since March 26, 2011. Mr. Subedar is a member of the Institute of Chartered Accountants of India and also of the Institute of Company Secretaries of India. Mr. Subedar superannuated from Tata Sons Limited as the chief operating officer, chief financial officer, and company secretary in September 2017 after a long and distinguished tenure of over 32 years and has vast experience in the areas of company administration, finance and taxation, and accounts. (iii) Mr. Mukund S. Dharmadhikari is an Independent Director on the Board of TCFSL since January 28, 2015. He is a member of the Institute of Chartered Accountants in England and Wales and also of the Institute of Chartered Accountants of India. He has an overall experience of about 35 years primarily in the areas of audit and accountancy. 1. The Company Revenue is growing at CAGR of 13.11% in last 5 years. 2. The Company PAT is growing at CAGR of 29.40% in last 5 years. 3. The EPS for FY18 is 2.90. 4. The Consolidated Gross NPA and Net NPA of TCL group is 2.4% and .07% as on March 2018. In the case of TCFSL , the Gross NPA has come down to 3.3% in FY18 as compared to 4.9% in FY17 and 5.3% in FY16. 5. TCL Group profitability has been subdued in the past due to high credit cost. The NIM in the last 3 years is close to 5% and ROA is close to 1.3%. The TCFSL , ROA[ Return on Asset] has improved from .7% in FY17 to 1.3% in FY18. Bonds market yesterday rallied as RBI promises to provide liquidity of Rs.36,000 Cr in the Bond Market through OMO( Open Market Offer). The 10 Year bond yield yesterday closed at 7.99% as compared to 8.03% on Friday because of this RBI inflows news. The Crisis in the Bond Market is elevated as FII are continuously pulling out the money from the Bond and Equity market since April 2018. As a rule of thumb, as Bond Yield Increases the Bond Value decreases. Suppose investor “A” buys a bond with FV=1000, having the coupon rate of 10% for 3 years. So every year he will receive Rs.100 as a fixed interest and the bond with FV=1000 will trade in the market. The F.V will keep on changing as per demand and supply in the bond market. However, the investor is entitled to a fixed interest of Rs.100 irrespective of bond price fluctuations. Now after one year another company comes up in the bond market and offering 12% Coupon rate for the FV of 1000( This happens when Interest Rates are rising). The Investor “B” grabs up the opportunity and buys the bond. What does investor ” A” will do now?? He will observe that the Investor “B” having the same FV as mine is earnings 120 per year, then why should I carry my bond which is giving me less interest. So he will start selling the bond. Similarly, the other Investor like “A” will also start selling the bond in the market to buy another bond similar to investor “B” and thus Bond Price Falls. The Vice-Versa happens if the company comes up with the lower interest rate on bond with similar face value. The Current Situation in the Indian Economy is similar to the first case. The Interest Rates in the Indian Economy is rising, so it is affecting the bond market prices. Imagine a situation if everybody starts selling then who will buy the bonds to give support to falling price. Therefore, RBI intervenes with OMO whereby they will buy bonds in the market to support it. Hope this Article must of clear many doubts of the beginners. Tata NCD listed at 981 and closes at 988 Closing day. Listing on discount. The current market price is 981 against the issue price of 1000. The rising bond yields have taken a toll on bond prices. Always remember Bond prices are inversely proportional to bond yield. Oil prices is increasing and this will increase inflation worldwide. Because of high inflation we will see interest rate hike for next two years worldwide. It may possible we will get better opportunity with higher yield after 2 years. It is advisable to apply for 3 to 5 years. Don’t lock your investment for 10 years. Poor response in TATA NCD on the first day. The RBI will gonna increase interest rates in October which might be negative for the bond market. The Price of the bond is inversely proportional to interest rates. So listing might be discount. However, for retail point of view who wants to invest till maturity, it is safe to apply. 5 years. For individual investors always better to go for secured NCDs, unless you have the understanding and appetite for the risk involved. In case I’m investment 1lakh for 3 year time period…after 3 year how many money i got…? Considering you in the Category -IV – The Coupon rate is 8.80% this is the periodic interest payment that the issuer makes during the life of the bond. In your case, you purchase a bond with of value 100,000 at coupon of 8.80% for 3 years maturity, then you can expect to receive 8800 each year until the bond matures. So total you will get 26,400 in three years. If suppose after two years you decided to sell the Bond in the market , then there would be two scenarios. a) Imagine the Bond Price in the market is greater than then the purchase price and bond is currently trading at a valuation of 1,05,000 then you will get Rs.17600 coupon rate for two years and plus 5000 extra on selling the bond. So you total income after two years would be 22600.
b) Imagine the Bond Price in the market is less than then the purchase price and bond is currently trading at a valuation of 95000 then you will get Rs.17600 coupon rate for two years and loss of 5000 on selling the bond. So you total income after two years would be 12600. Note: Taxes will be applicable as per the case. It would be first come first serve basis NCD. So those who want to apply please apply on first day itself. Cheque in favour of:”TCFSL NCD Escrow Account”. Category IV is reserved for Retail customers.